You know that moment you find yourself eating while cooking your dinner? If you say you don't know that feeling, I'm positive you're lying. 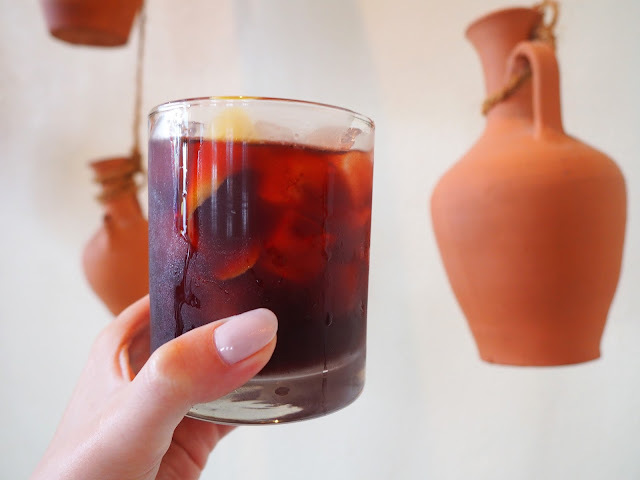 Zatar is the place that you can do that with half the effort. 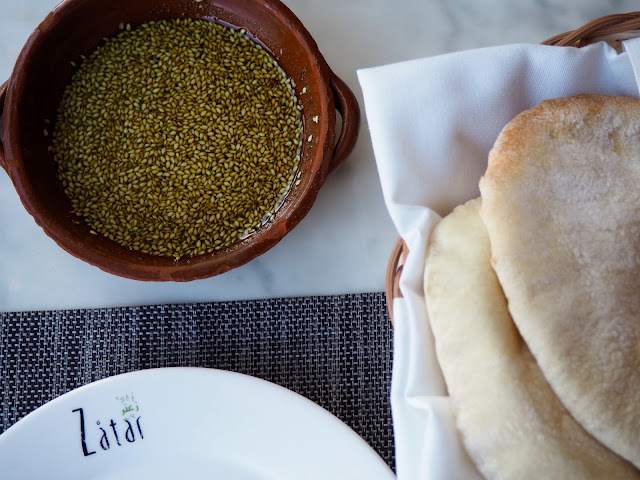 Zatar itself is a dip of oil and spices to enjoy with fresh pita. Often times, families make this dip while they are cooking their meals - thus the moment you may over eat before your dinner makes it to your table. Pick a beautiful evening to sit on their porch and enjoy this refreshing cocktail. 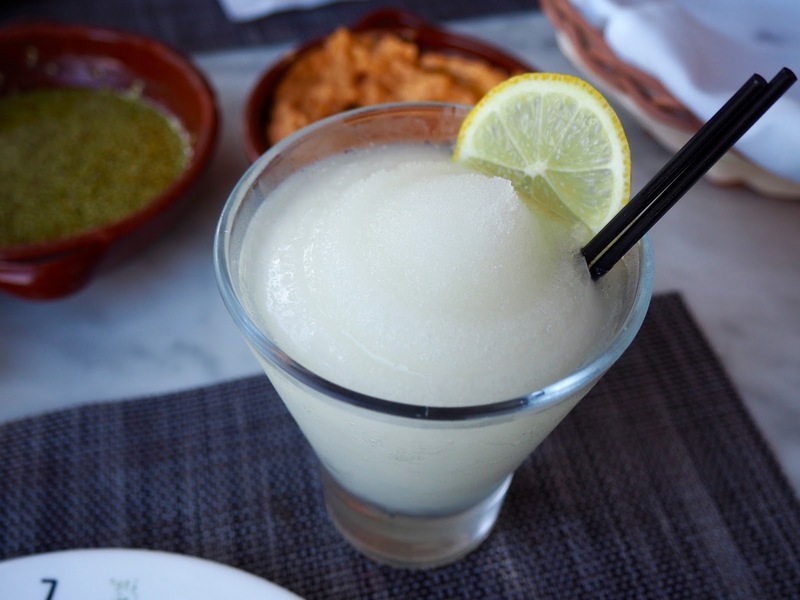 Perfect balance of sweet and sour, the Frozen Limonada reminded me of an alcoholic italian ice. I have not stopped talking about the hummus duo. Obsessed. 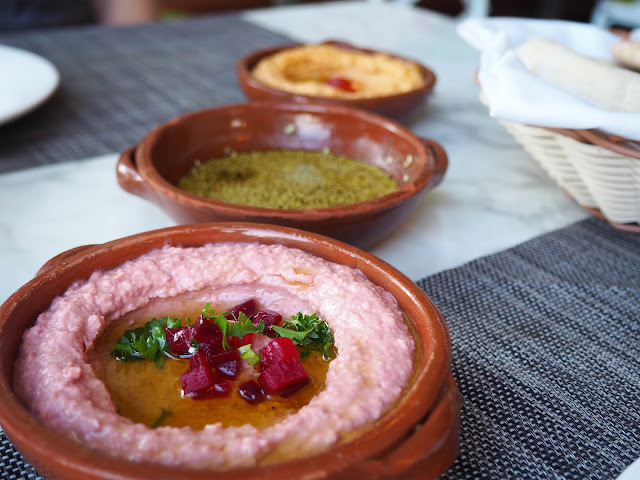 That beautiful pink dish is their roasted beat hummus. Wow y'all. You need to get in on this. After my first taste, I hogged this dish on my side of the table. These open face meatballs were super filling. With a cherry sauce, they are a great savory start to your meal. Stuffed inside is a blend of meat and walnuts, topped with scallions. 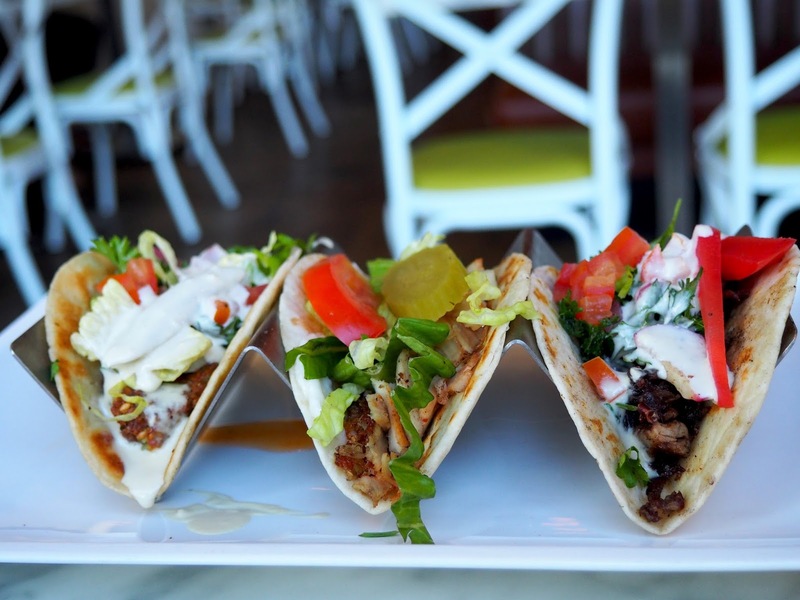 Taco Trio is a great choice for the indecisive eater. 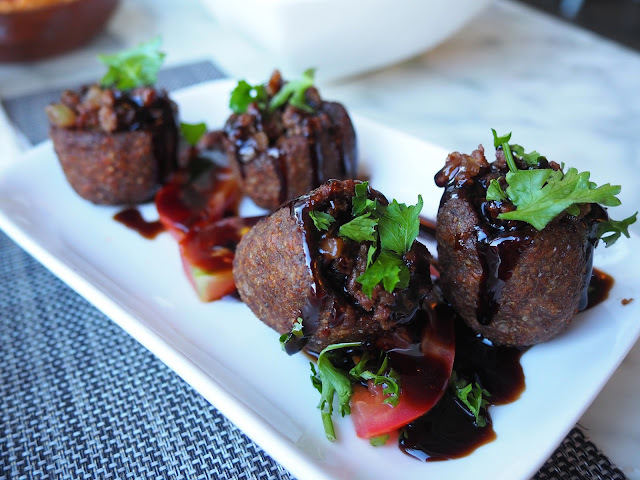 Falafel, chicken, and beef, you get tons of amazing flavor combos all on one plate. 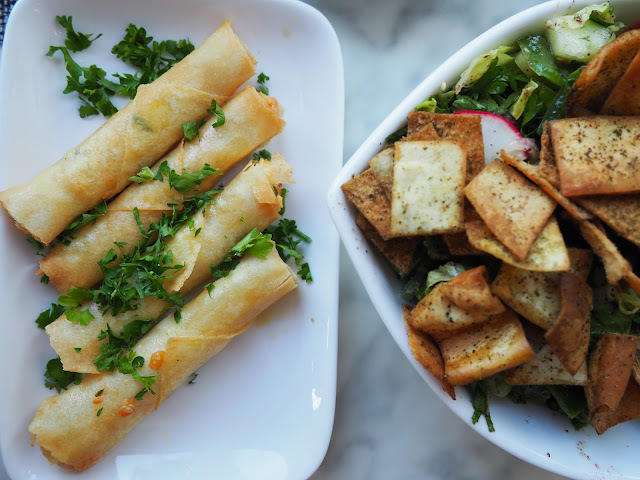 Get them to share or make it your entree, this is an easy way to try a Lebanese inspired taco. A blend of Lebanese cheeses hugged by a golden fried pastry is the fried cheese stick you've been waiting for your entire life. I'm not sure what else I need to say to the many cheese lovers other than that. I personally did not get to try it, but my dinner buddy talked about them for the rest of the week. To balance the carb overload, we were brought Fattoush, aka a garden salad. I may have focused more on eating the pita chips on top, but definitely enjoyed the fresh produce hidden underneath. Paired with a light and zesty dressing, this is a great little salad. This dish is exactly how I imagined a traditional Lebanese dish would smell and taste. 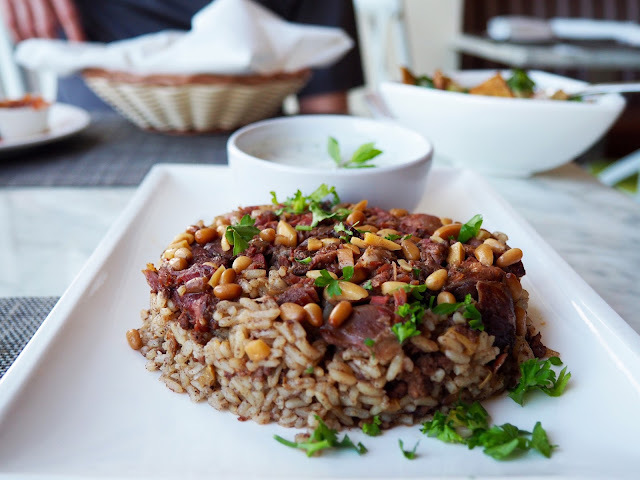 The Upside Down Lamb Pilaf is a family recipe that is so aromatic that you can nearly taste it before your fork has even touched it. If you're ready to be a bit adventurous and experience new food, this is the dish to choose. There's a reason this family recipe has been passed down. 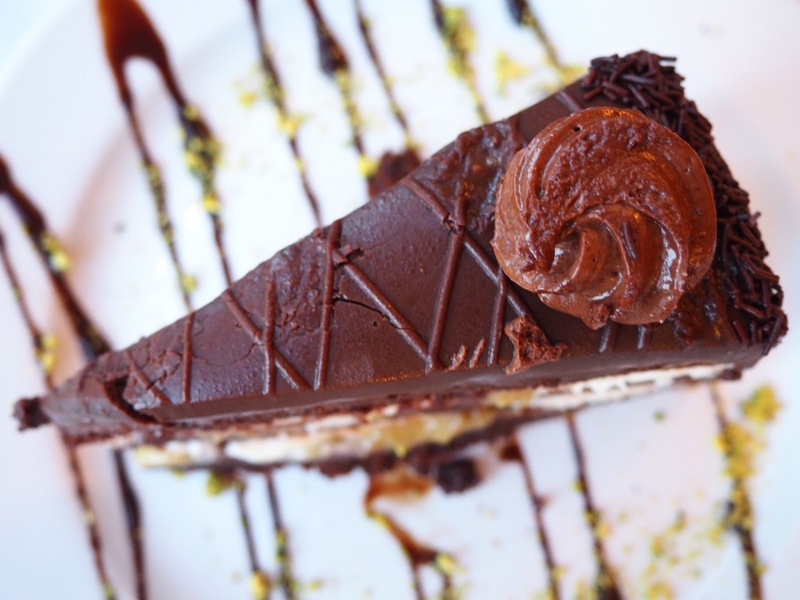 This cake is made especially for Zatar. The Chocolate Halawa Cake is layers of chocolate, nougat, and butter cream that is just waiting to be ordered. Leave room for a delectable piece of chocolatey goodness. oh my my zataaarrr....how much i miss having those when i was visiting Dubai. They are like these heavenly mouth watering pieces of snacks that are fulfilling enough and heathy too.